As more and more people make the move to hands-free calling in their vehicle, companies that make affordable and feature-rich solutions have a great opportunity to capture some market share. This is where a company like Bluetrek comes into play. They have a full range or products that range from feature-rich to feature-limited and are proudly touting their carbon fiber "Carbon" headset today. Today we are looking at the Carbon and are going to find out if it's more than just a pretty face. My first thoughts are that it should be light and pretty classy, but if it doesn't have a lot of features, or it has poor performance, I wouldn't really care what material it was made from. Stick around as we take a closer look at the Carbon. Before we dive in, we'll find out a bit more about Bluetrek. 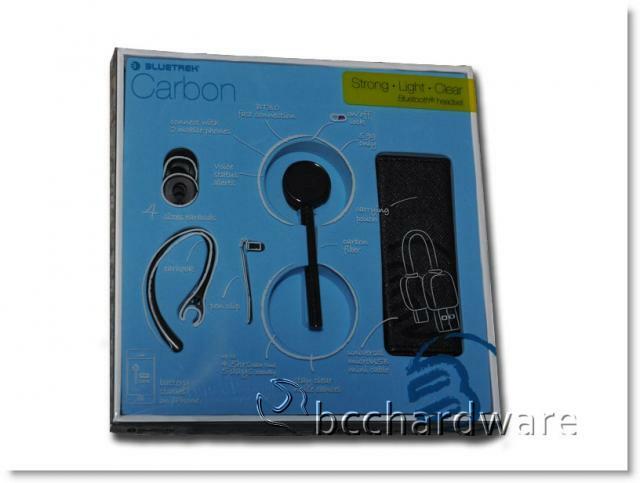 In 2009, Bluetrek launched several new, advanced noise-cancelling hands-free Bluetooth headsets that deliver clear communication even in noisy environments. 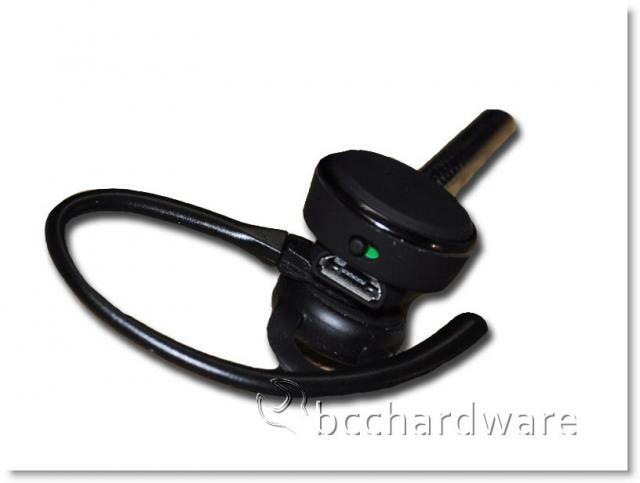 This includes the newly introduced Crescendo, the world's first Bluetooth headset with voice-activated Bing 411 search function. In the picture below, I've attached the earhook and you can see by the little green spot on the back of the Carbon that the unit is switched on. 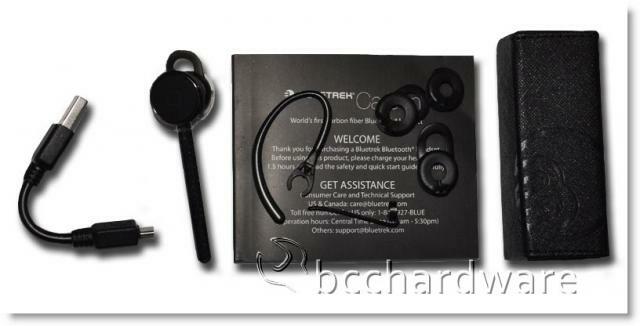 I do like the fact that Bluetrek uses a mechanical switch on the headset instead of a long button press to power cycle the device. It is quick and easy to see that the device is on or off - without waiting to see if the status light will flash indicating that it is powered up. On the next page we'll take a closer look before we jump into the features and specs of the Carbon.